Ami Amar Moto Lyrics In Bangla. 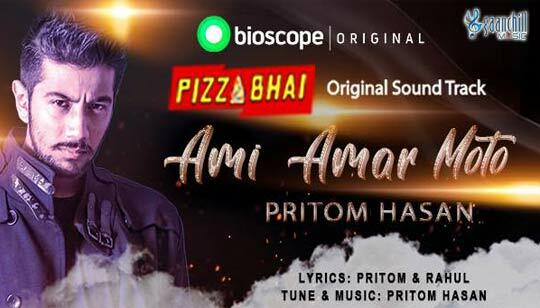 Sung by Pritom Hasan from Pizza Bhai Bioscope Original Film. Bengali Lyrics written by Pritom & Rahul. Starring: Rahat Rahman, Missouri Rashid, Juneyna Kabir And Baizid Joardar.